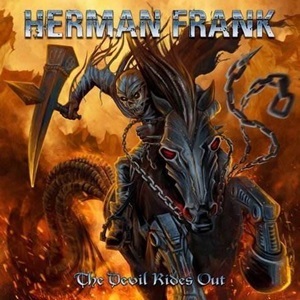 Wasting no time in his mid-60’s, guitarist Herman Frank comes off leaving Accept to develop Panzer for 2014’s potent Send Them All to Hell, plus sign with AFM Records and release his third album The Devil Rides Out. A new rhythm section in tow (Jaded Heart bassist Michael Müller and ex-Rage drummer André Hilgers), the man knows how to hit the traditional/power metal-oriented sweet spots, taking these 12 tracks bursting at the axe seams with thick melodic hooks and bluesy energetic combustion to appease his faithful following. It’s hard to fault the ripping Randy Rhoads/ John Sykes-oriented circular guitar action and propulsive double kick work for “Shout”, as this type of energy up-tempo anthem gets bodies out of seats every time. Of course, there will be reference points to his work in Accept on “Can’t Take It” or “Run for Cover”, while André takes his turn at whirling kit hysteria to open the heads down Euro-power fueled “Dead or Alive”. Reaching back into his admiration for Black Sabbath (Dio and Tony Martin years to these ears) for the first video single “Ballhog Zone”, the title is taken from an American slang term relating to a sports player who monopolizes individual play over team philosophy and outcomes – but illustrates Herman’s all for one outlook on this record. He may be the leader, but all four musicians shine and push a song first, highlight reel later mentality that keeps these arrangements sturdy and steady at four-five minute clips. Masterplan singer Rick Altzi is back for his second Herman Frank record – a veteran well-equipped to handle power/traditional metal with muscle, grit, and soaring affect when called for. He has that natural voice that works in that guitar hero tradeoff mold (probably why he’s been in demand for At Vance and Treasure Land among others), attainable easily on first exposure to “Thunder of Madness” and semi-exotic closer “I Want It All”. 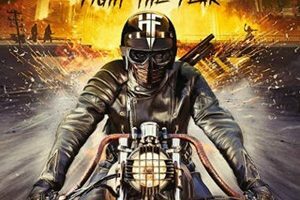 Topping things off with colorful cover art that could be the metallized version of Molly Hatchet, The Devil Rides Out more than adequately keeps the heart racing and adrenaline flow pumping – which is what you want most out of this style.